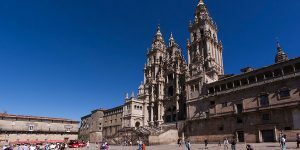 Pilgrim Mass at Santiago Cathedral and other religious services will take place in nearby churches across Santiago Old Town, while important restoration works take place inside the Cathedral this year. From Monday 28th January 2019, works will get underway at the Cathedral’s Main Altar and other chapels within the basilica. This is part of the overall restoration project to get Santiago Cathedral fully restored ahead of 2021, which is a Holy Year or Ano Xacobeo and a very special event for pilgrims to Santiago. The traditional Pilgrim Mass will take place at the nearby San Francisco Church (Rua San Francisco) at 12pm every day. While the Botafumeiro won’t be in operation, the Cathedral will remain open for pilgrims and visitors from 9am to 7pm, with restricted access to areas undergoing restauration works. 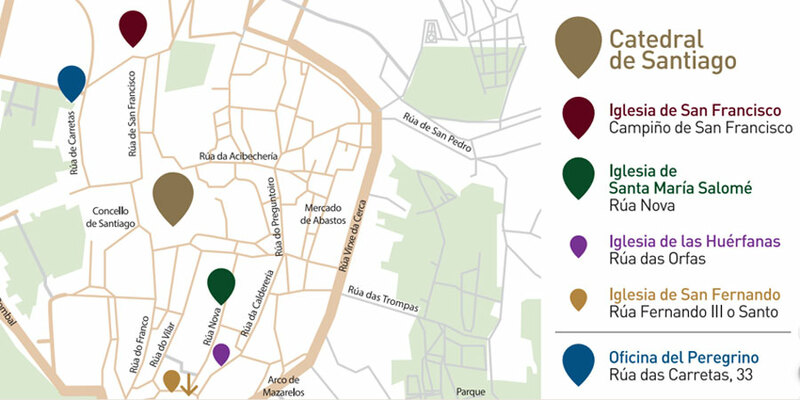 It is also worth noting main access to the Cathedral will be by Praza de Praterias, and not Obradoiro Square. 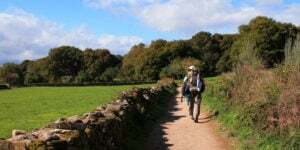 Pilgrims can also visit the Apostle’s cript and continue with the traditional embrace of the Apostle. Santa Maria Salome Church, located in Rua Nova, will host masses from Monday to Sunday at 7.30am, 9am, 10am and 19pm, with additional mass times on Saturdays at 6pm and Sunday at 1pm and 6pm. Mass in English and languages other than Spanish and/or Galician will be taking place at the Pilgrims Office chapel (Rua das Carretas) and other churches in the Old Town but schedule is yet to be confirmed by the Cathedral. Mass on special dates such as St James Day will take place at San Martin Pinario Church. 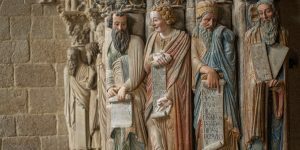 At CaminoWays.com, we’ll keep you informed throughout the year with any updates and developments related to the Cathedral conservation-restoration works, pilgrim mass times and other news. In the meantime, if you require more specific information in relation to pilgrim mass at Santiago Cathedral, we recommend visiting the Cathedral’s official website: catedraldesantiago.es/en. Pilgrims to Santiago won’t be disappointed as they will be able to admire the wonderful Cathedral facade in full as well as the magnificent Portico da Gloria, after years of delicate and much needed restoration by top experts in the field to bring Santiago Cathedral back to its full glory ahead of Holy Year 2021. Hi Chris, unfortunately the rooftop tour is not available this year due to the conservation works however the Portico da Gloria is highly recommended and it’s free. We hope this helps! Will you still be able to get the roof top tour? Hi Donna, on the other hand you will get to see the cathedral facade without scaffolding ;-) You should definitely go to see the Portico da Gloria, it only reopened last year and it’s magnificent. Buen Camino!